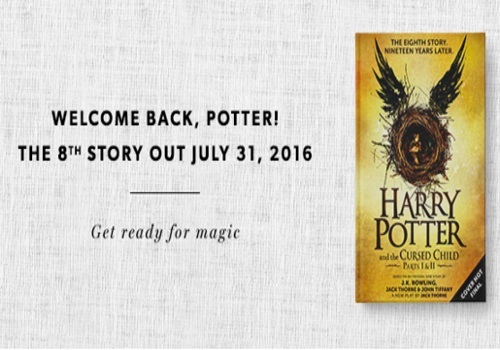 Harry Potter is coming back July 31 with the 8th installment in this book series! Available for pre-order now is Harry Potter and the Cursed Child Parts 1 and 2 Special Rehearsal Edition! Grab it today during this special offer from Chapters Indigo and save 25% off the price! That means instead of paying the sticker price of $39.99, you can now get this on pre-order for $29.99! Plus get 1,000 bonus plum points on Harry Potter and the Cursed Child. This special offer is available on pre-orders at indigo.ca or on in-store kiosk orders until July 31 2016. Click here to see this offer on Chapters Indigo.